We get into some pretty crazy math on this one, but don't worry, R is here to help. Consider a linear regression with one single covariate, y=β0+β1x1+ε and the least-square estimates. The variance of the slope is Var[β1] Do we decrease this variance if we add one variable, and consider y=β0+β1x1+β2x2+ε ? if x1 and x2 are highly correlated, then we should expect the variance to increase. if x1 and x2 are not correlated, then we should expect the variance to decrease. We briefly observed (and discussed) those points on examples during the lecture... but I wanted to go a bit further since I couldn't find any analytical results. Let's generate a model, y=β0+β1x1+β2x2+ε, and then compare the variance, Var[β1], on the two fitted modes, depending on the correlation between x1 and x2. Let's generate 500 samples for each value of the correlation, from -0.9 to _0.9. 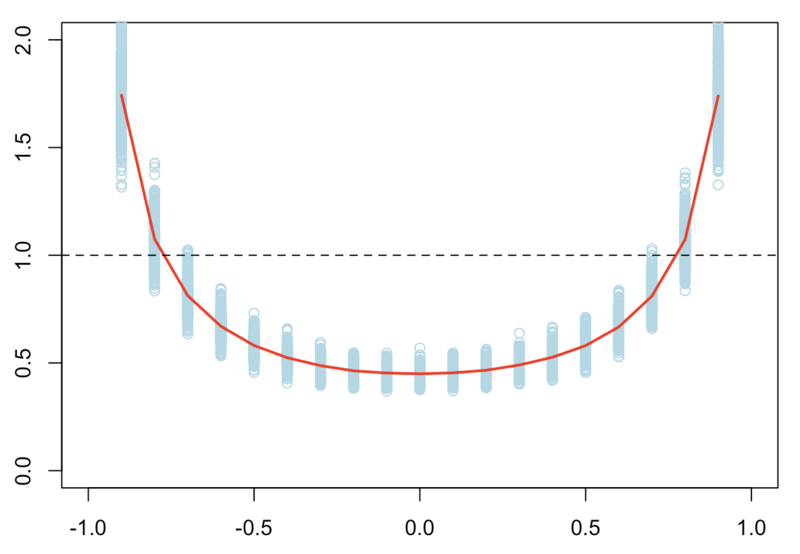 If the ratio exceeds 1, the variance increases when adding a covariate. Indeed, here, when the two variables are independent, the variance is divided by two. 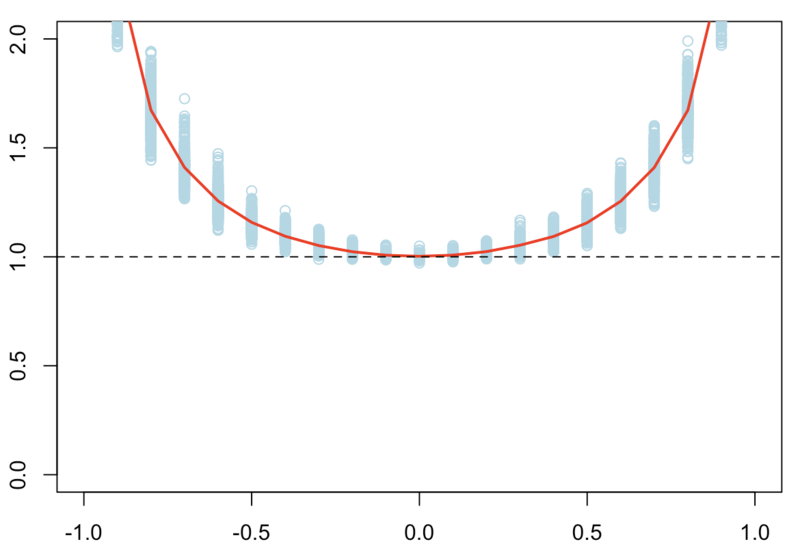 But when covariates are highly correlated, the variance is multiplied by two. In this case, we add a useless variable x2. Whatever the correlation with x1, it will always, on average, increase the variance of β1.